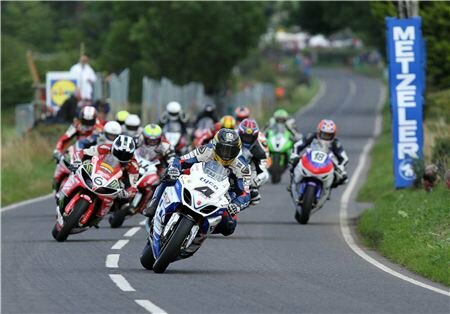 Road Racer – sharp corners and hard stone walls. 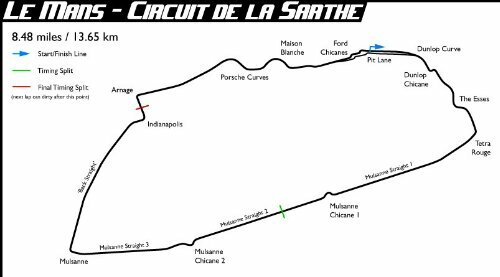 It’s the TT circuit on Man’s Island in the Irish Sea. 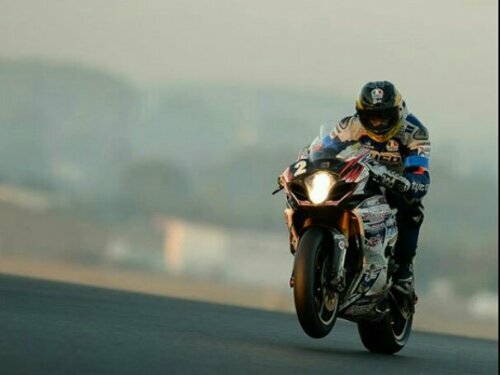 This is none other than the Kirmo Kid Guy Martin taking a Triumph Trident through its paces under leaden skies. 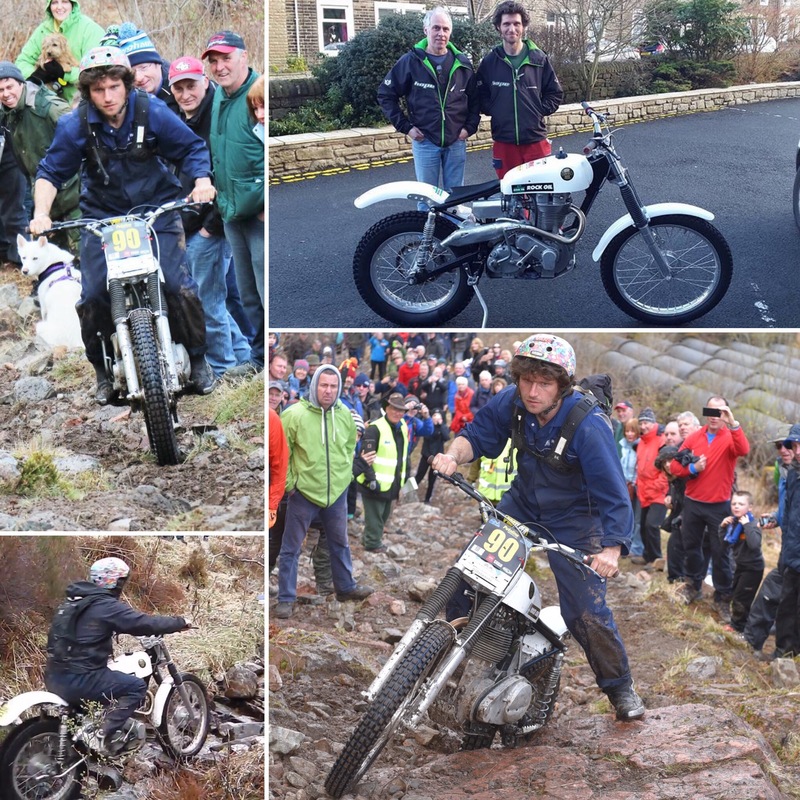 SSDT – our bloke Guy Martin took part in a pre65 course at the Scottish Six Day Trials on a typically damp April weekend earlier this year. 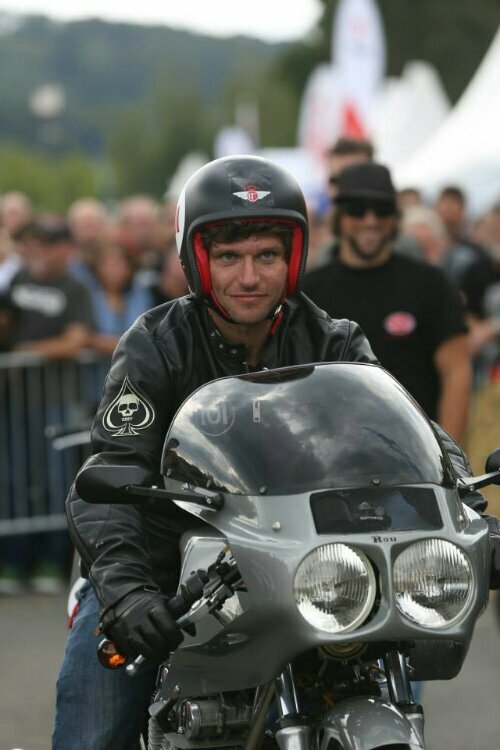 He’s dabbing along on a nice Ariel 350 single. 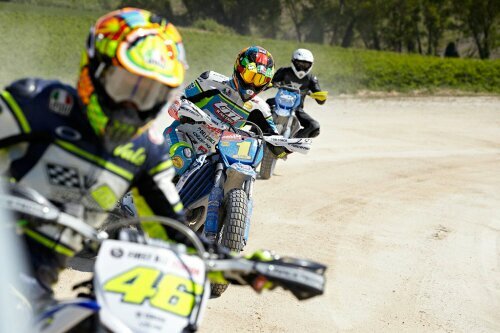 Boiler suit, mountain bike helmet and Dainese race boots complete the appearance. 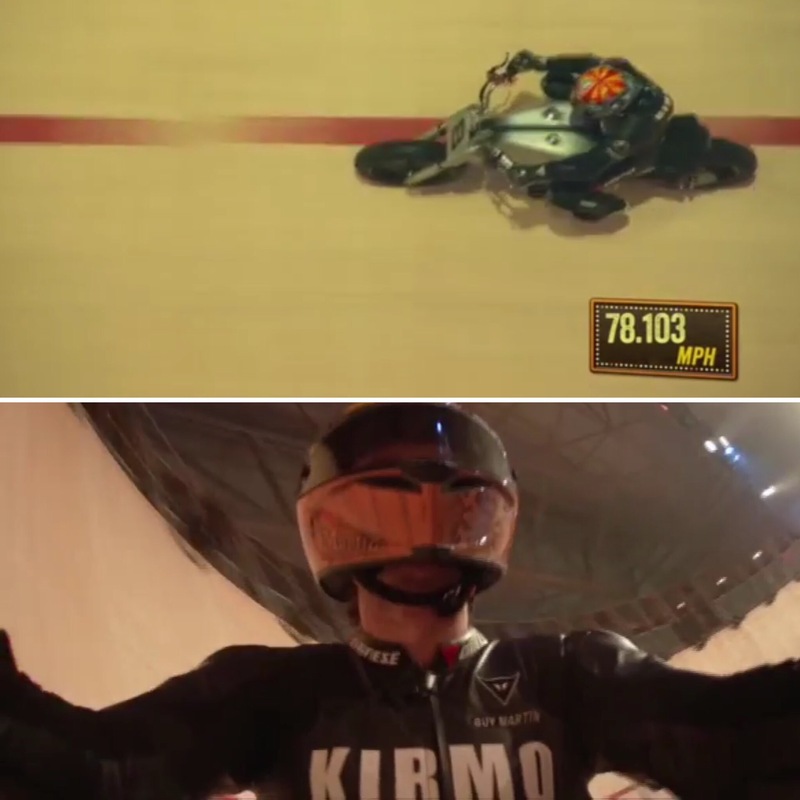 Utah – The Kirmington Kid adds a pinch of salt to his deeds of speedy derring do. 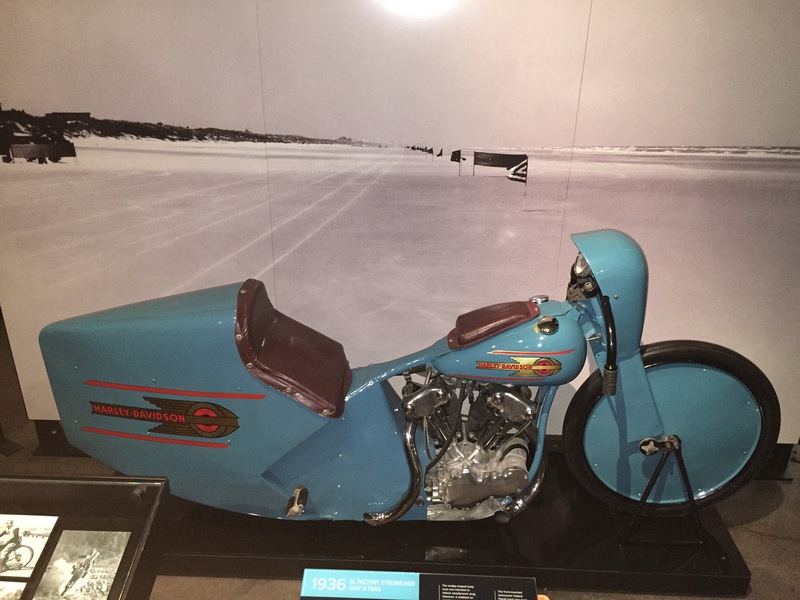 He’s piloting a 1000bhp twin Rocket 3 engined sliver of a motorcycle across the famous Bonneville flats to get the streamlined two-wheeled record. 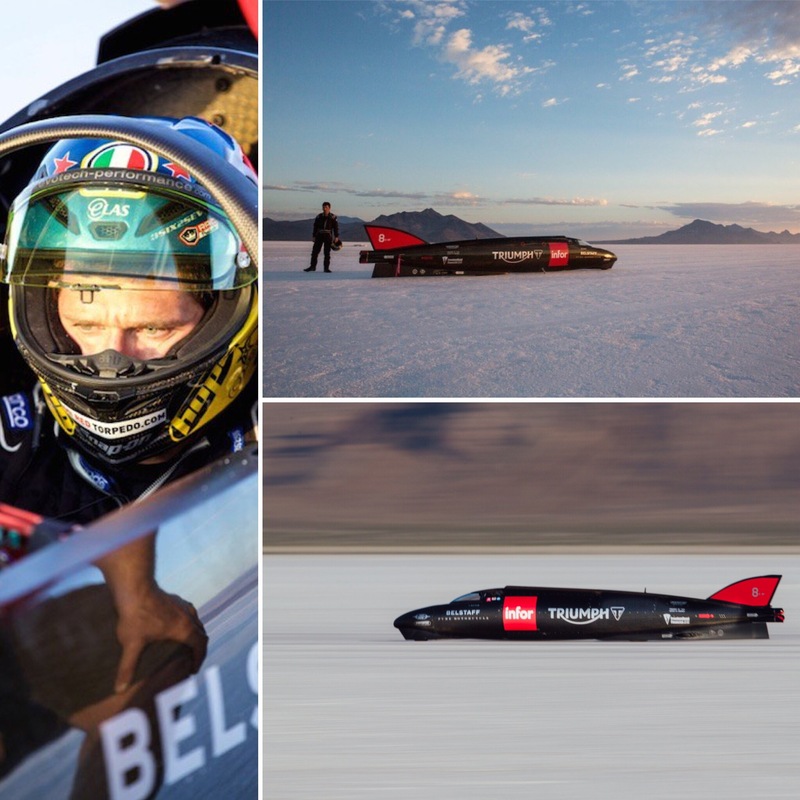 Working up to a velocity north of the current 376mph record he took the carbon fiber sheathed cycle to 274mph in testing this week. 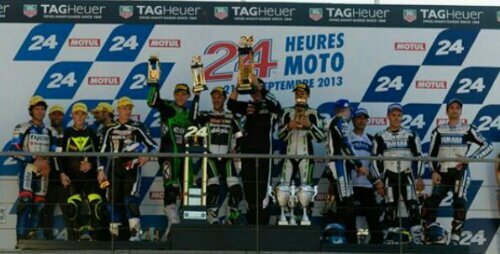 A Triumph record! 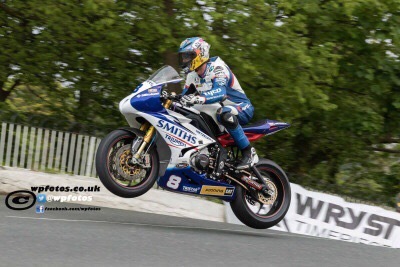 Our Bloke Guy Martin takes flight with his Smiths Triumph in 2015 over the infamous humpback Ballaugh Bridge on The Isle of Man TT. 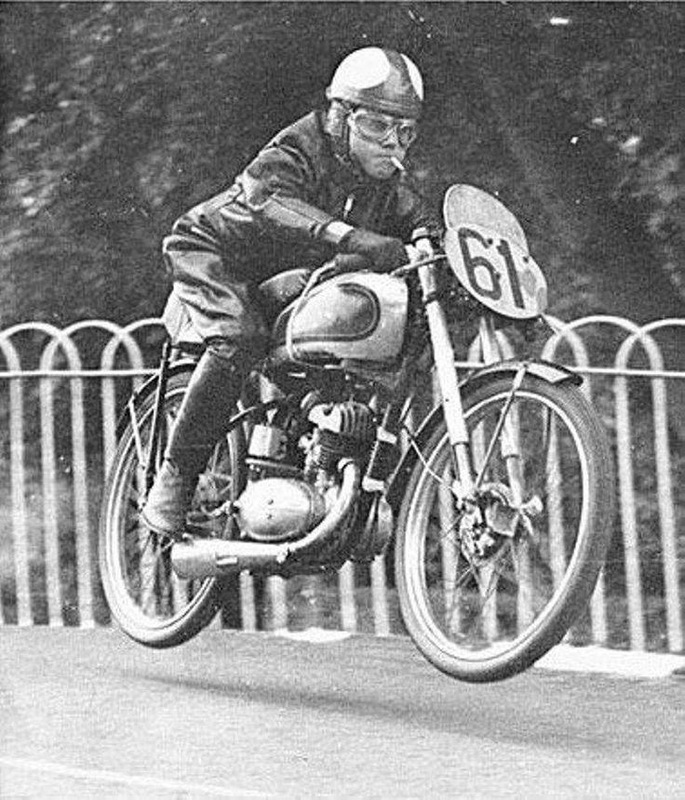 Even more impressive is Harvey Williams catching air on his 125 BSA Bantam in 1952. 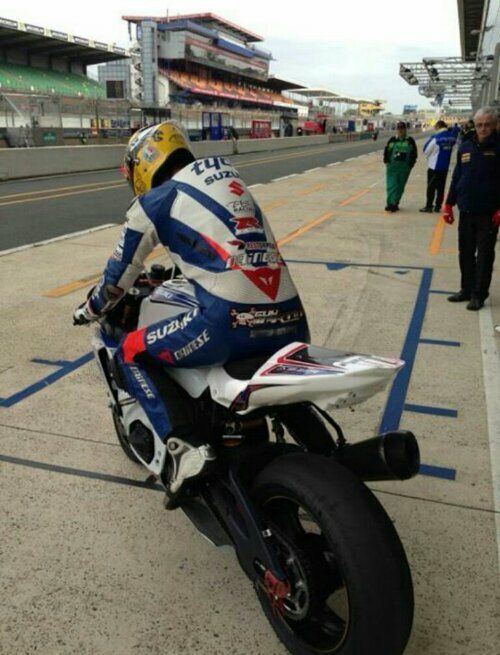 Fag is lit too! 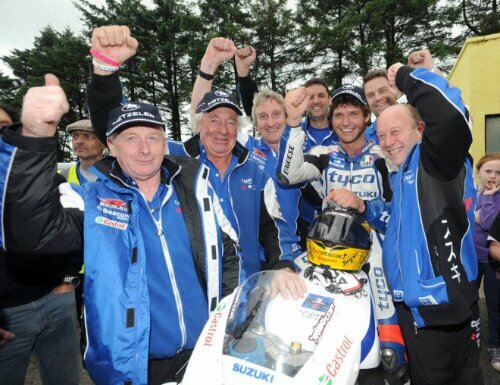 Top racing, mechanic, tea-drinking, fast seeking bloke has a birthday today. 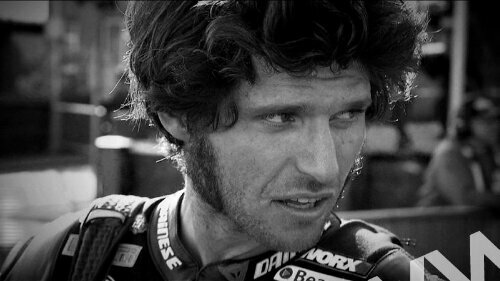 Guy Martin is 34 today. He’s looking right proper vintage here pouring hisen a brew. 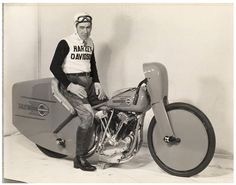 In 1936 Joe Petrali set a new land speed record of 136.183 mph on a modified Harley-Davidson WL 61 cubic inch knucklehead. 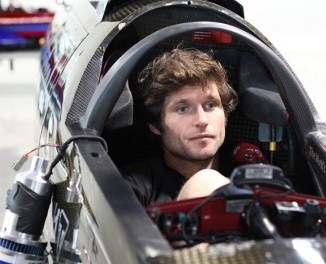 Today it was announced that our canny bloke Guy Martin is going to attempt a new motorcycle land speed record using a double engined Triumph Rocket streamlined ‘Lincolnshire Ceegar!” Over 1,000 bhp and over 4.6 liters. 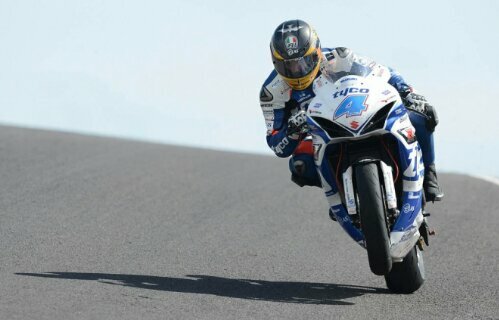 The team are hoping to reach 400mph. 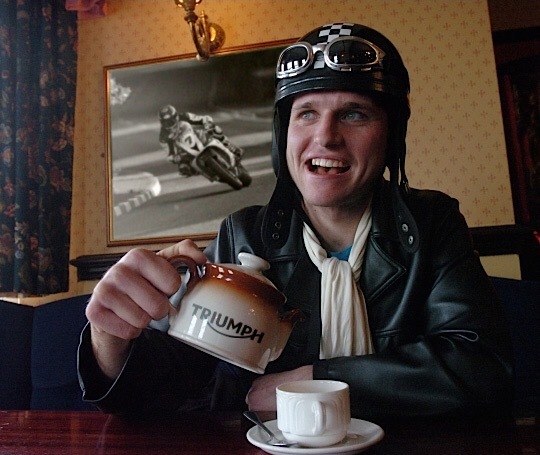 Tea goes hand in hand with motorcycling. Perfect for quenching a thirst after a good ride. 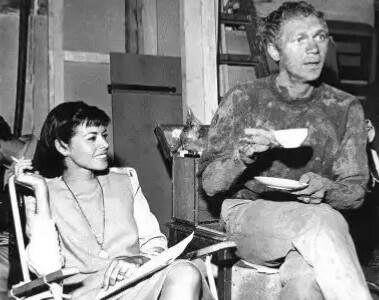 Here’s Steve enjoying a cuppa whilst filming a tunneling scene in the Great Escape. Niele looks on. 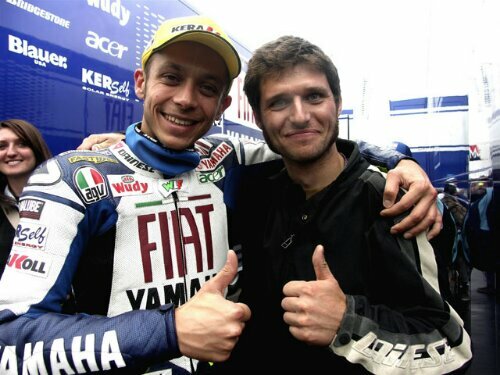 Our man Martin is a big tea drinker. Famous for having a waam mug o’ chai always handy. 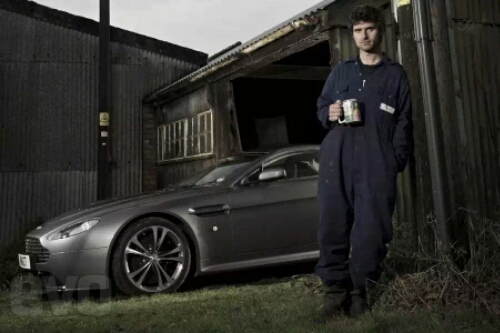 Overalls and V12 Vantage Aston Martin seal the deal for enjoying the good things in life. Of course cafe (PR. 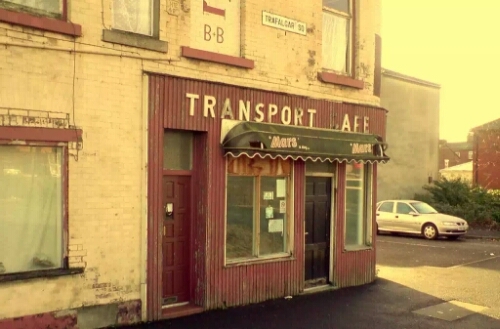 caff) racers hare between the edge of town ‘greasy spoons’ and the mobile transport cafes spaced along the A roads of England. 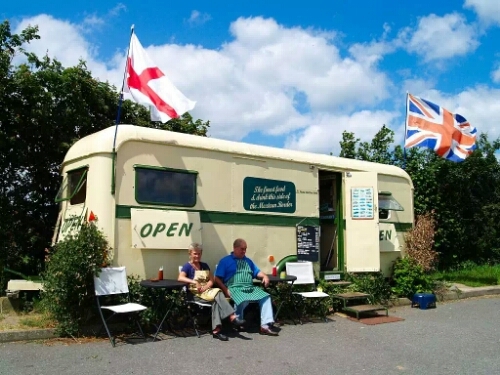 Here’s a perfect one complete with outdoor seating and fluttering flags. It’s not their outward appearance that draws the clientele. 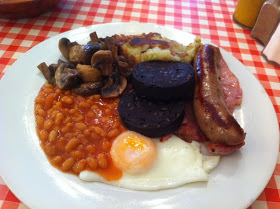 As long as the brew is warm and wet, the food freshly cooked, then you’re set! 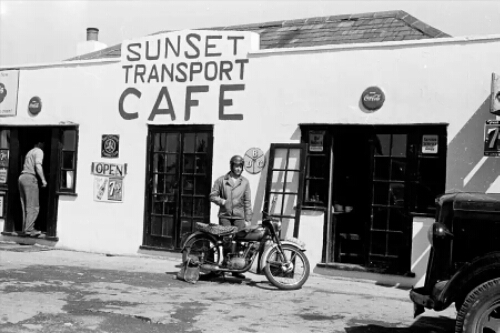 Classic period shot of a Triumph Cub rider at The Sunset. 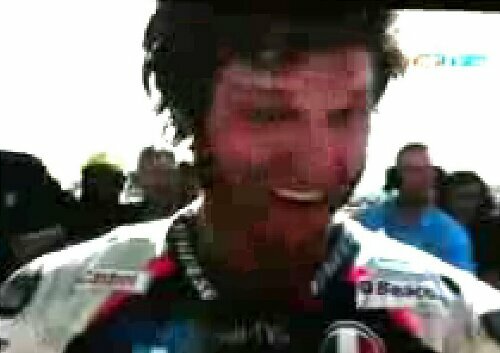 Supersport podium place for our man Guy Martin today. 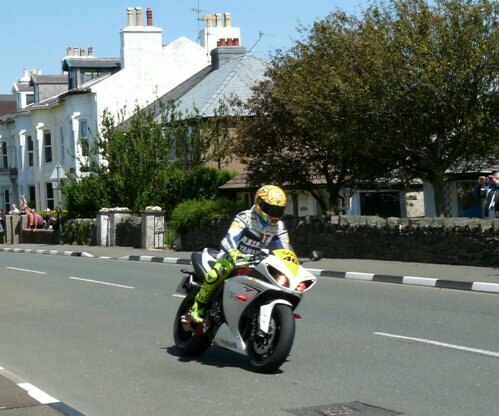 Third place behind Alistair Steely and Michael Dunlop. 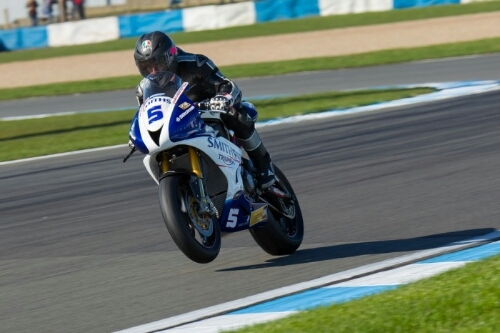 Working his way up to a good result with the Superbikes race at the weekend. 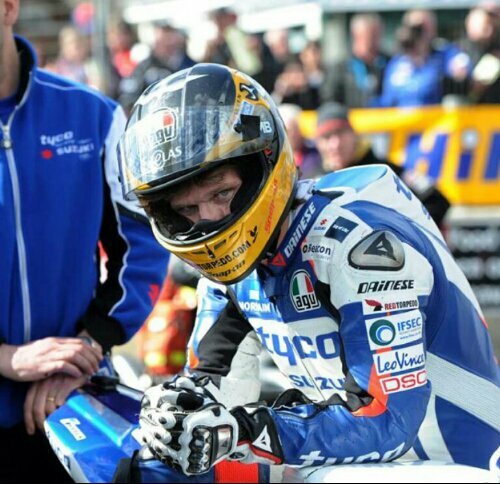 Concentration: the eyes have it!